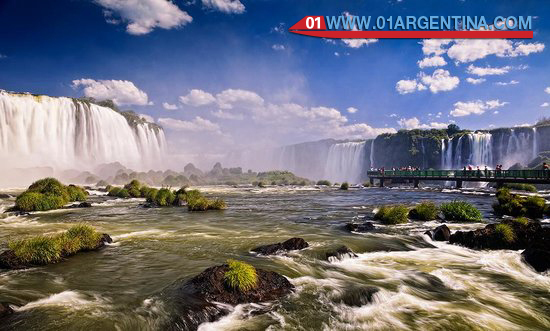 In the Iguazu National Park (Argentine side) circuits are: Inferior, Superior, Devil’s Throat San Martin Island Macuco and Yacaratía and trails. All these circuits and trails are included in the value of the entrance to the Iguazu National Park. A set of footbridges strategically designed that allow the diverse views of the Falls and an intimate encounter with waterfalls and charming corners of the jungle. Shaded and very good view of the falls. . Duration: 2 hours Difficulty: With stairs. Access to the panoramic views of the Falls and the Iguazu River delta formed by a set of leafy islands. Walk with panoramic cute top of the falls. . Duration: 1:15 Hs Difficulty: no stairs. Indescribable by its beauty and energy that excites all, an impressive array of sounds and landscapes. Through this gateway you reach the top of the Devil’s Throat, taking a view of the power vacuum and water. Safety pin. . Duration: 1:30 Hs Difficulty: without stairs. A popular saying states that in the spectacle of the Falls on the Argentine side is Brazilian stage and the privileged audience. Without doubt the panoramic view is obtained from the Brazilian side is excellent. From the viewpoints and walkways of Iguazu National Park you can see a view of almost all the jumps. In addition to impressive an approach to the Garganta del Diablo. Brazilian side is a single gateway, in one sense, it can be done without difficulty, it ends in the viewpoint of the Garganta del Diablo, then you access to the parking lot and the bus stop by an elevator panoramic. Falls on the Brazilian side are located at 28 km. of the city of Foz do Iguacu. From this city you can access lParque own transport, private tours or public bus that has multiple frequencies each time. In the Iguazu National Park there are some rides engaged in rubber boat that complement the visit to the Falls. Within the Iguazu National Park you can perform different boating excursions with boats owned by the concessionaire Iguazu Jungle. The three tours offered are: Great Adventure, Nautical Adventure and Ecological Tour. It is the most comprehensive tour of the three offered by the concessionaire. The Great Adventure tour starts at the Visitors Center, from there begins the journey in special vehicles by the Sendero Yacaratiá, which allows us to appreciate the jungle in all its glory. After 5 km. It is up to Puerto Macuco where rubber boats (boats) are taken to sail into the Iguazu River canyon. From the boat jumps the Brazilian and Argentine side appreciated with panoramic views from the water are exciting. The tour culminates with a breathtaking view of the Garganta del Diablo Salto and San Martin. Navigation disembarks in the port located opposite the island of San Martin from where you access the lower circuit. The tour can be done in the reverse direction, ie from the jetty opposite the island of St. Maarten to Puerto Macuco and ending at the Visitor Center. Nautical Adventure tour is the younger sister of the Great Adventure, but no less exciting. Nautical Adventure is chosen by many visitors because less time is required and it is more economical. It is an ideal place to combine it with a visit to San Martin Island walk. The walk begins and ends at the pier is in front of San Martin Island and from there travels on boats (rubber boats) jump Three Musketeers, Canyon River Falls and the impressive jump San Martin (second in flow). Itaipu is a work of admirable engineering that can be visited on tours or in particular. There are several options to discover the Itaipu Dam. The Itaipu Dam is shared by Paraguay and Brazil, is located on the Parana River which is the border between these countries. The Itaipu hydroelectric dam is the world’s second largest, after the dam of the Three Gorges in China. Panoramic Visit lasts 1.30 hours. and it is performed on an open bus for 360 views. The walk begins at the visitor center where a film with the history and technical data of the dam is projected. Then the tour is done by the plant, landfill and sites where the turbines are installed. According to the operation of the dam you can see the impressive waterfall coming out of the dam. It is a very complete visit, only for over 14 years. The tour includes a sector inside the hydro, central command, turbines, etc. 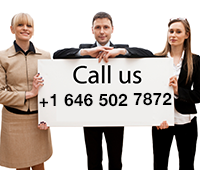 It is ideal for those who like to know the technical aspects. It is a nocturnal visit where the Itaipu dam is seen with its monumental lighting and sound and background music. A particular visit to enjoy a different night. The Hito Tres Fronteras is a tourist place, located a few blocks from downtown Puerto Iguazu. The Landmark is located in the confluence of the Iguazu and Parana rivers. From where you can see the coast of Brazil and Paraguay, on these shores, there is a similar obelisk painted with the national colors of Argentina, Brazil and Paraguay. In place a craft fair where you can buy handicrafts typical of the province works. It manages also observe the Tancredo Neves bridge, which connects the city of Puerto Iguazu Argentina and neighboring Brazil’s Foz do Iguazu. There are few places in the world where you can see the union of three countries. From the viewpoint of the Three Borders Landmark Paraguayan and Brazilian coast it is observed. In each of the coast there is a similar milestone painted with the flag corresponding to each country’s colors.